The flexible, Nitecore USTAND is the ultimate charging cable for all your micro-USB rechargeable devices. The USTAND charging cable&apos;s unique ability bend and hold almost any angle while simultaneously charging, makes it the perfect addition for many of Nitecore&apos;s smaller keychain lights like the TIP, TUBE and TINI allowing users to easily position lights for hands-free activities like reading and working. 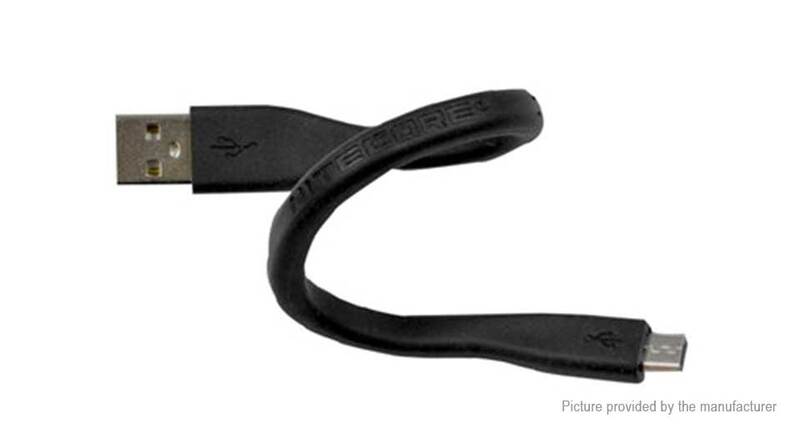 While traditional micro-USB cable wires are sensitive to everyday twisting and turning, the Nitecore USTAND charging cable&apos;s heavy duty construction is specifically designed for bending and folding making it great for travel in pockets, bags, backpacks and more. The USTAND is compatible with micro-USB rechargeable devices like flashlights, cell phones and tablets, and will easily charge devices when connected to any USB power source.